The following text was contributed by the Government of Peru. Peru entered the XXI century overcoming a socio-political and economic crisis that weakened the State´s image before their citizens. Peru is nowadays a country with democratic stability; furthermore, recent economic growth has allowed decreasing poverty rates from 50% to levels below 30%. That is going in parallel with new possibilities for Peruvian people and more responsibilities for the Peruvian State to provide basic services, including a more open and transparent Government, thus giving same opportunities for all. 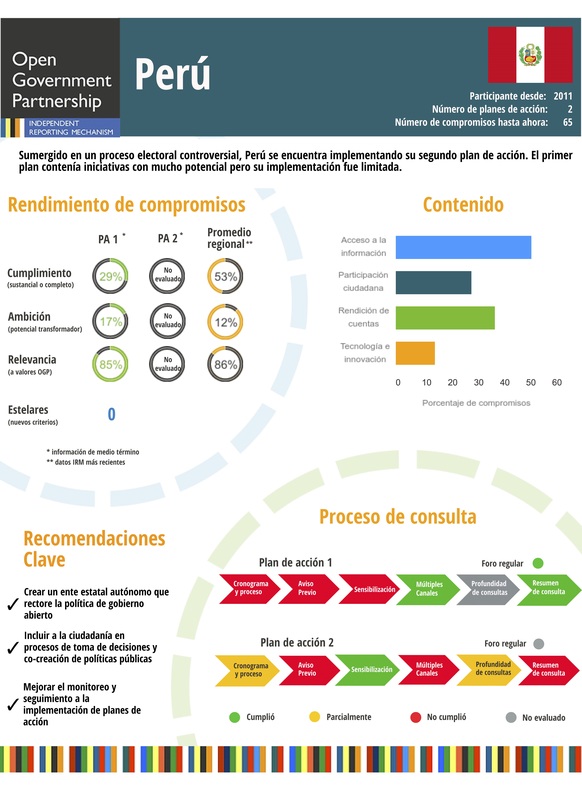 Since Peru became part of the OGP, in 2011, Peruvian Government in partnership with civil society has worked hard in order to have its Action Plan ready and fully implemented. The 2012 Action Plan has been worked by the Government and the Civil Society. This Plan establishes commitments in four pillars: improving transparency and access to public information; promoting citizen participation; increasing public integrity; and, improving E-Government. There are still many challenges in order to create trust in Governmental institutions and to understand real needs Peruvian citizens have in order to provide relevant, adequate and accurate information. Peru has a millennial history and a rich culture, which all Peruvians are proud of and we are willing to share, since we are open by nature. 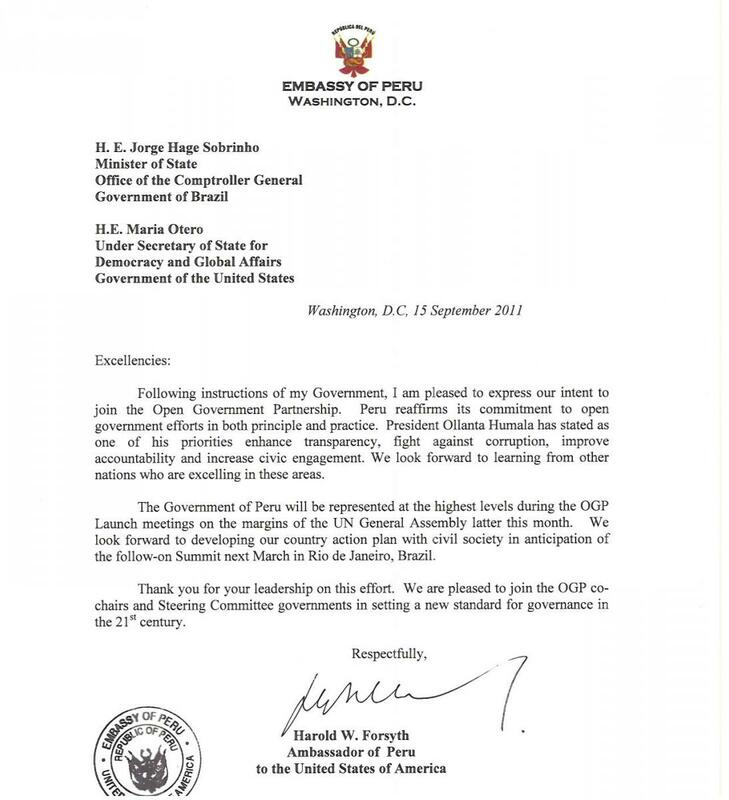 The real challenge for Peru as part of the OGP is to make our citizens aware of how this openness is also part of the Government’s responsibilities and a vehicle for them in order to get access to – and to enjoy all their rights.